This Rota Stand Turner is a breakthrough in reducing strain on patient and carer alike. The patient is pivoted from one seated position to another, thus avoiding hazardous lifting by the carer. Designed for patients with a moderate degree of strength in both arms and legs.The turner has a foot operated, lockable base, height adjustment and transport wheels. 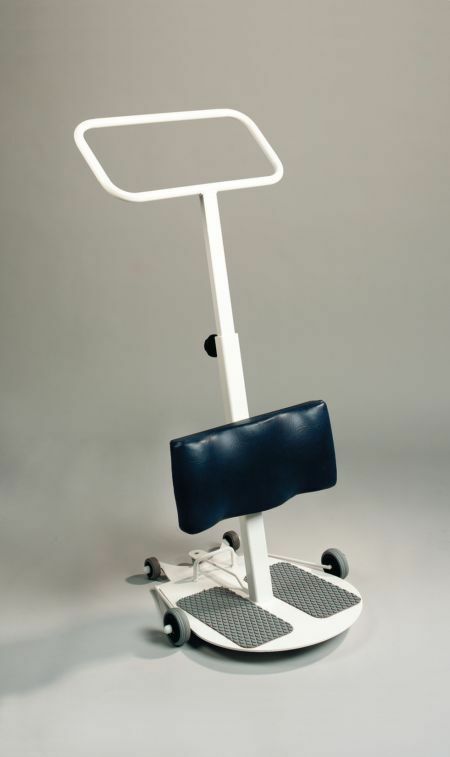 The central wheels are a unique innovation because they allow the Rota Stand to be rolled up to a patient or client even after there feet have been positioned on the foot plate. Max user weight 160kg (25st) - static load.